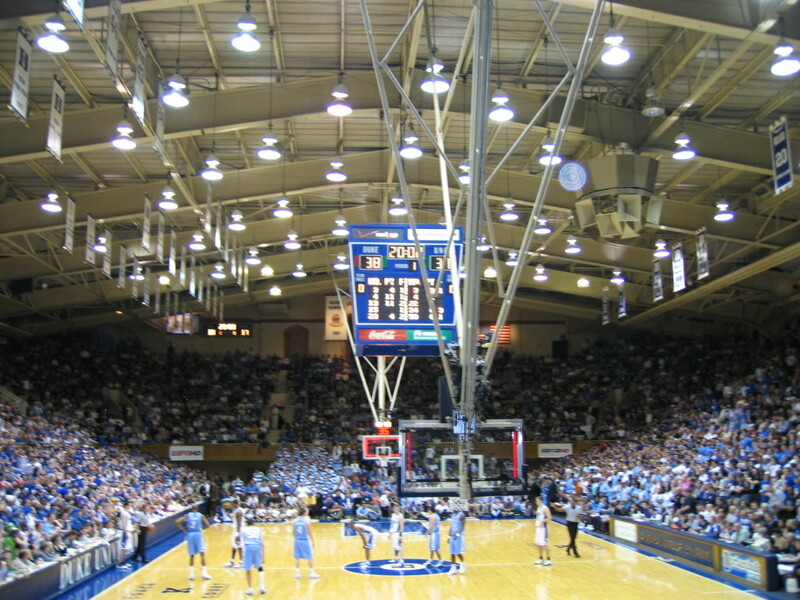 The North Carolina Tarheels are giving the Duke Blue Devils a run for their money at Cameron Indoor Stadium tonight. 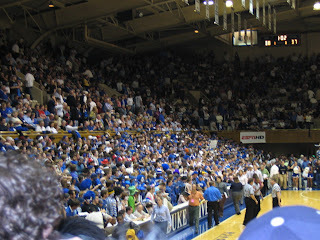 **** I'm not sure when I was at Cameron Indoor last, but since I'm doing this post on the fly the best pictures I have that I can locate are from 2006. Right now, the year is 2011 and the game is tied at 62 with just under 6 minutes left in the game. Both Roy Williams and Coack K are coaching their hearts out right now. Actually, I've met both coaches at airports ironically and they both were nothing but nice. I'd describe them as very personable and appreciative of the fan support. 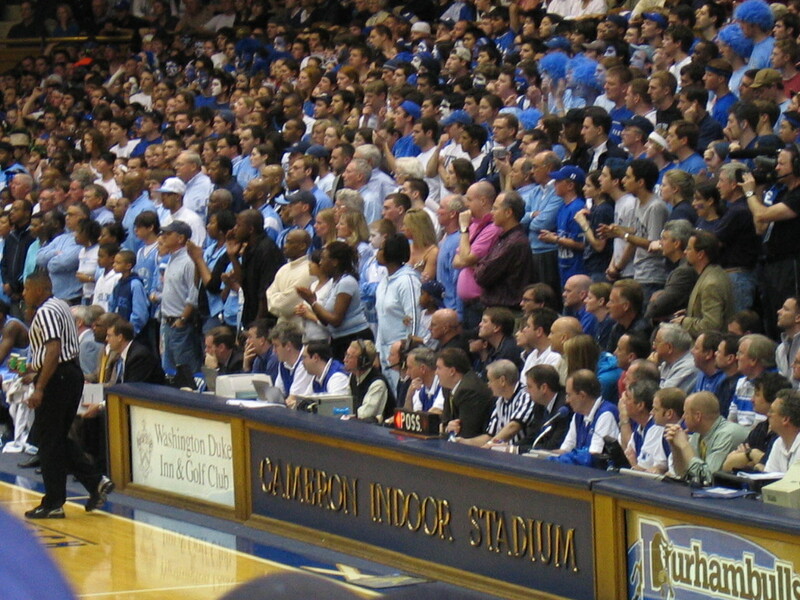 If you haven't been to Cameron Indoor Stadium or the Dean Smith Center to witness a Duke v UNC match-up you really need to count and save your pennies and make it happen. Both venues are very different. 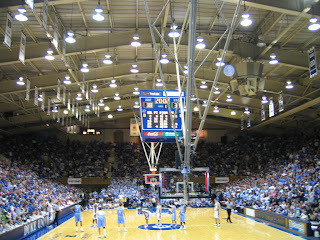 Cameron Indoor is so much more intimate, but to experience the rivalry "right" I recommend you check out both stops. **** I'll save my Dean Smith Center pics for later. If you're a college basketball fan, this is one rivalry game that needs to be seen in person. 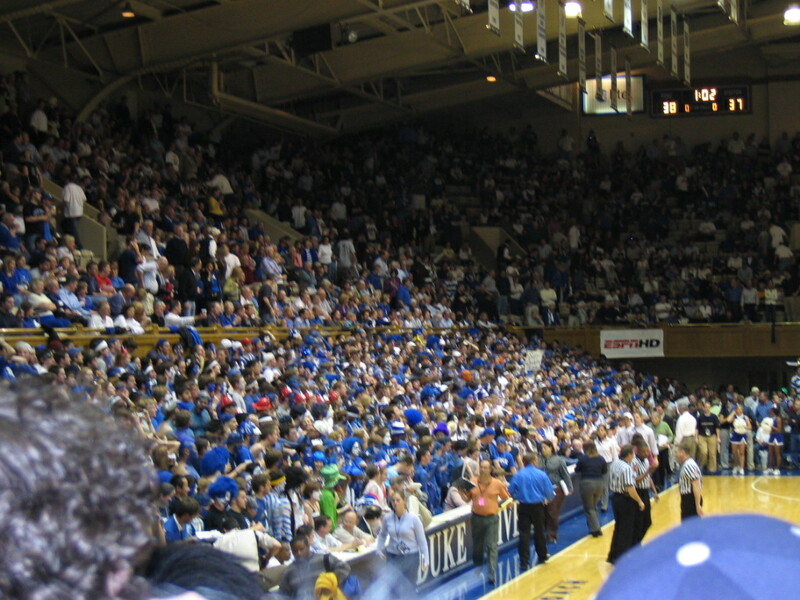 I used to go to Cameron Indoor once a year for a period of about 4 years. 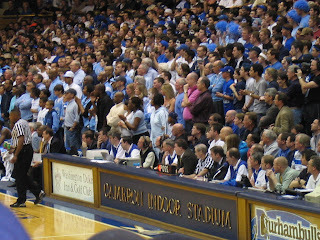 I've been to the Dean Smith Center at least twice. If you end up at Chapel Hill, stop at the Top of the Hill for some food and/or drink before or after the game. 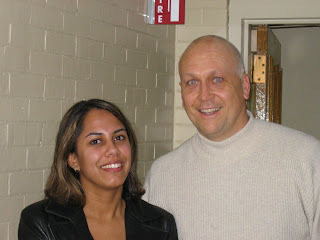 I met Scott Maitland years ago at the ACC Tournament (i.e. when it was held in Washington DC), and I've been to the restaurant a few times. I have nothing but good things to say. This rivalry has so much history that alumni and sports fans return to see the action first-hand. Can you pick out Duke alumni: Danny Ferry and Billy King? What about the Terp, Len Elmore? Don't believe that it's a great match-up? 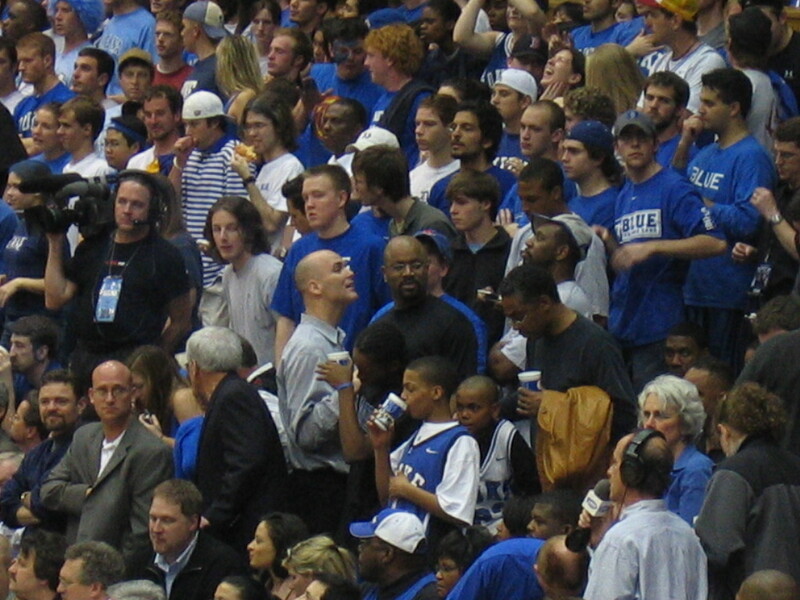 Check out who I saw when I went to the game in 2006. 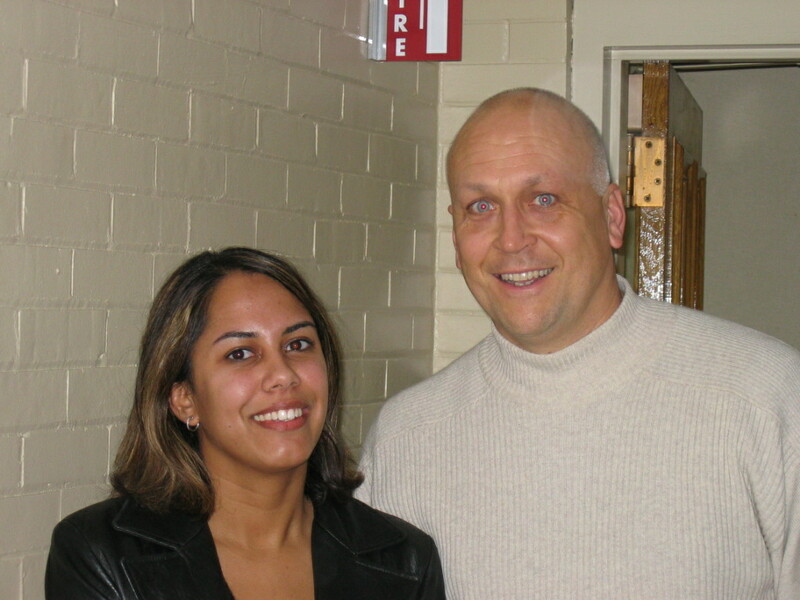 Yes, that's Cal Ripken Jr.
Duke just defeated UNC. Final score 79-73. Nolan Smith had a career-high 34 points. Great game! The rematch at the Dean Smith Center, is scheduled for March 5th.